Add a bit of juice to the water, as small of an amount as possible, which they will still drink. Juices, like apple, pineapple, or grape are always a hit, but you must take into consideration the amount of sugar and adjust the overall diet as necessary. Juices like lemon, cranberry, or orange are wonderful because they are also acidic and are great for the overall health of the pig. The same adjustments must be made to the overall diet. You can also try the flavored water drops designed for bottled water, most are calorie free. 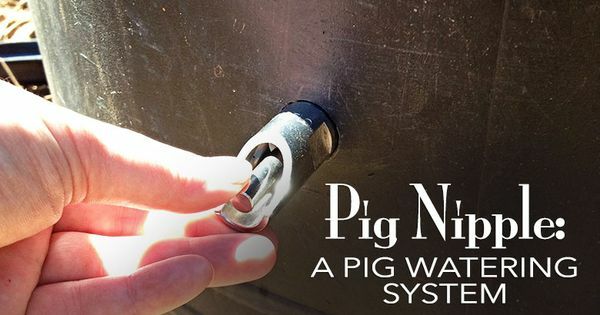 Keep several sources of water available for the pig and this will help to ensure that your pig is getting enough water during the day. Have several bowls scattered throughout your yard, if you need to, so there is easy access to fresh water at all times. 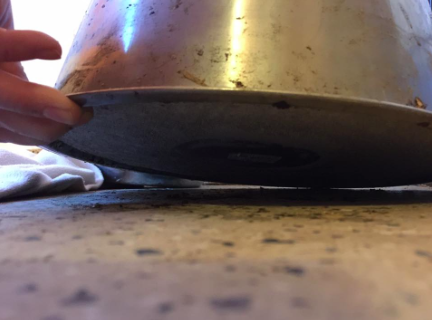 ​Add concrete to the underside of the water bowl so it is much more difficult for your pig to tip it over. There are two types of salt poisoning; both can be minimized by a constant supply of clean drinking water. Pigs have one of the worst systems of all animals to regulate salt/sodium-making water more important for them than most animals. Neither type is to be taken lightly. Death rates are high from this! Either because the pig does not make it or if they do they have suffered brain damage and must be put down. Both types are caused by “over drinking”, which happens when the pig drinks more water than the body can process which, in turn, causes the brain to swell. There are both metabolic and cellular changes that take place when there is an acute ingestion of sodium or when there isn't enough water in the body for extended periods of time. As the pigs become dehydrated, their electrolytes become unbalanced. Within 24 to 48 hours, the neurologic system begins to be affected. Pigs will act uncoordinated and appear blind, then demonstrate a behavior called head pressing. These clinical signs are not specific to dehydration. Meningitis, inner ear infections, and some exotic (and therefore reportable to the state veterinarian) swine diseases can also appear this way. A recent event happened which is why we created a page dedicated to salt toxicity/water deprivation. Two pigs, indoors. Piggy parent leaves for an extended amount of time. Turns up the heat because its cold outside and they didn't want their pigs to be cold. Fast forward to 8-10 hours later, parents get home, notice the water bowls are empty, perhaps tipped the bowl or drank it all, so the bowls were refilled. Pigs were extremely thirsty, so the bowls were filled again. Not too long after that, the neurological symptoms started to show. Both pigs were rushed to a university vet clinic where they currently still are. The initial thought was exposure to some kind of toxin, but blood work soon revealed excessive sodium in the blood stream pointing to salt toxicity. Both are currently blind, their fate is till unknown, but the prognosis isn't good. This was obviously an accident. This pig parent would've NEVER done anything to hurt these pigs, but this is the type of situation that you need to be on the lookout for. Use tip proof bowls, if your pigs are outside and they tip over anything you try to use, get a kiddie pool and make sure there is fresh water put in there everyday. If your pigs bowl is frequently empty when you return home, get a bigger bowl. Scatter several bowls throughout your yard if you need to so there is easy access to fresh water at all times. Pigs can't sweat like people, therefore, the sodium that people can excrete? Pigs cannot do that. They must flush it out another way. ALWAYS have fresh water available. NEVER give your pig massive amounts of fluids because situations like this can occur. To read more about things that have been found to be toxic to pigs, click here. Approximately 1-1.5 grams of salt are ingested per pound of body weight. Or 2-3 grams of salt ingested per kilogram of body weight. *2-3 grams of salt = approximately 1/2 teaspoon. Some things that you may not know are extremely high in sodium. Should your pig ingest one of these items, the potential increases for your pig to have symptoms of salt toxicity if fresh water is not readily available. Excessive salt has also been linked to strokes and ulcers. So, avoid it as much as possible for your pigs. 1. Playdough- Homemade or store bought. 2. Rock salt- The type used on surfaces that get iced over in the winter. Pigs do not know this os bad for them, so they may try to lick it while its melting the ice, use pet safe products instead. 3. Baking soda- Some pigs get into cabinets and refrigerators while the piggy parents aren't home. If your pig should get the box of baking soda, again, if no fresh water is available, your pig could potentially have a less than desirable outcome. 4. Water softeners- If you have a well versus city water, your water itself may contain larger amounts of sodium. Ask your delivery people to check your water or have your water tested to see how much sodium it actually contains. You may have to come up with alternative methods for your pigs water. 5. Activated charcoal- If this has been used to treat your pig after ingesting something else potentially toxic, now the concern is salt toxicity. Anytime activated charcoal is used, your pig should also see a vet, so be sure the sodium levels aren't high while you're there. 6. Table salt- Again, pigs and cabinets without locks can sometimes be a bad combination. Or, maybe someone let the salt shaker out within your pigs reach. No fresh water available + ingestion of sodium rich items can lead to salt poisoning. 7. Salt dough is used, mainly around Christmas time, to make ornaments that can be baked in the oven to harden. This is made from salt. The obvious common denominator is the potential for salt poisoning if your pig eats this and there is no fresh water readily available. ​8. Sea water ingestion- Ocean water is salt water, so if your pig loves the ocean, always have fresh water available as well for your pig to drink. 9. Paint balls- They contain high amounts of sodium. Not that it is expected that your pig will be eating paint balls, but this is just in case your pig does. 10. Himalayan Salt Lamps- This is actually a lamp made from pure salt and used in homes to reduce mold and are natural negative ion generators. So, if you have one of these on a table where your pig could potentially access it, move it higher or get rid of it. If your pig decides to knock it down and begins licking it, without fresh water available, your pig could get salt poisoning.